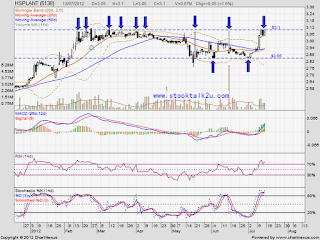 HSPLANT (5138) retest RM3.10 strong resistance level again. How about this round, will it break through? Stochastic %K at overbought stage, potential consolidate before go higher. 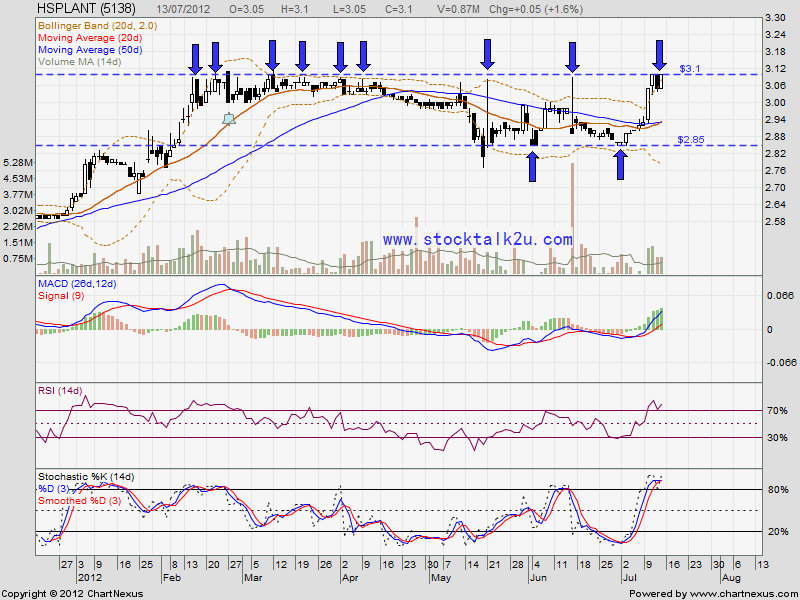 If market sentiment is bullish, high potential it will break through strong resistance, RM2.80 level. Else, tt will retrace down, retest Immediate support @ RM3 psychology level 1st.